The killing-lots-of-zombies genre is overcrowded, but Dead Rising 3 is one of the best, with a lovable dedication to fun, and some of the most inventive, hilarious weapons on PC. Dead Rising 3 combines bland gameplay and colorful stereotypes into one unfortunate adventure. With a bit more time in development, Dead Rising 3 for PC could have been the definitive version. Unfortunately, an above-average game is hamstrung by a port that runs poorly on stronger PC hardware. Crashes and framerate issues abound. If you really want to play Dead Rising 3, your best bet is to wait or pick up the Xbox One version. With a more engaging story that didn't solely rely on zaniness and/or idiocy to sell itself, Dead Rising 3 could have been more worthy of recommendation. Instead, accept my lukewarm approval of it as a purchase decision. Dead Rising 3 is a technologically sophisticated game with a very straightforward concept. Here are a bunch of toys for you to use to lay waste to the zombie horde. Go out, explore, and have at it. Although it often feels like the time limit (present in all Dead Rising games) conflicts with the idea of running around a big open world, it doesn't take away from the satisfaction of zombie bashing. Dead Rising 3: Apocalypse Edition offers an improved experience on PC, but it is held back by some of the same problems that existed in the original game. If your PC is powerful enough to run it at full speed then it is an enjoyable experience that is worth checking out. Dead Rising 3 Apocalypse Edition is simply a fun game. Its story lacks and it has its fair share of downfalls but it is all worth it due to its unforgiving and humorous gameplay. If you don't have an Xbox One, this package includes all of the DLC as well as a few new graphical bells and whistles. Dead Rising 3 is truly a game that is its best when it isn't trying, it is unapologetic and bloody, and one of the best zombie hack and slash games that has ever been released. Dead Rising fans will get more out of it than someone who hasn't played the series, but even with the camera and navigation problems, I still had a decent time hacking up some zombies with insane weapons. Just keep in mind; it can be cumbersome at times. Dead Rising 3's world is grey and bland, yes, but those aren't words that can be used to describe the frenetic zombie-culling action which forms the game's core. 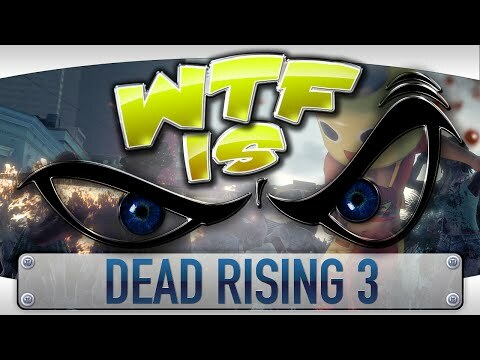 Dead Rising 3 is funny, and more importantly a riot to play. New players will enjoy the standard mode while classic players will get their fix in Nightmare Mode. It really is just a shame there are quite a few issues with performance on PC. Let's hope the modding community can work their usual magic with this one. Even though it has a few annoying and erroneous elements and an uncompelling, cringeworthy story, Dead Rising 3 is still an incredibly fun game. If you're looking for something where you can turn your brain off and go ballistic- Dead Rising 3 is going to be a perfect fit for you. Dead Rising 3: Apocalypse Edition represents a few things; a good value, a solid game, and a good time. The story, as mentioned earlier, is one of the best stories in the series (if not the best), fun to play, and only better with a friend. Dead Rising 3's co-op allows players to jump in and search, collect, and slaughter together, with shared collectible findings so you don't have to worry about losing progress. I truly enjoyed Dead Rising as a game, and appreciate what it does. While it might not win awards for the best story, or the best anything really, it's a fantastic game, and deserves your attention. Dead Rising 3: Apocalypse Edition is a mediocre port of a very good game. Fans of the franchise and newcomers alike should both seriously consider picking it up on the PC, but it might be worth waiting to see if the noted issues can get smoothed out first. Dead Rising 3's inability to operate without consistently crashing wasn't a simple technical shortcoming, but rather a comprehensive failure that came to damage and define every aspect of its experience. Looking back on my time with Dead Rising 3, I'm not thinking of open-world mayhem under the stress of a cataclysmic time crunch, but rather the ugly and sudden halt of everything I found enjoyable in the intended game. Every part of [Dead Rising 3] exists in service to the simple act of knocking over zombies like so many shuffling bowling pins. 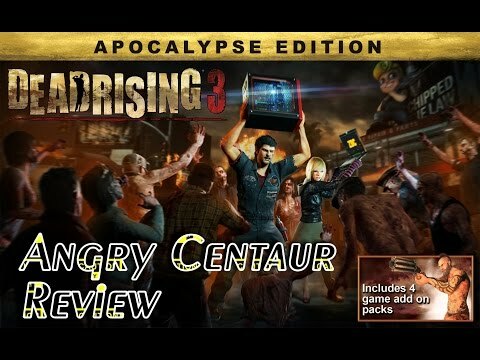 Dead Rising 3: Apocalypse Edition is a beefy port of a great Xbox One game and its decent post-release content. It may come with its own set of issues that could be fixed in future updates, but they matter little if you have the gaming rig to back up.